Enkelglas med SWFS = Scotts Works Film System (Roll-Off), med dom här fixar Du även leriga, smutsiga körningar i värsta tänkbara förhållanden. Mjuk och fin skyddspåse medföljer. 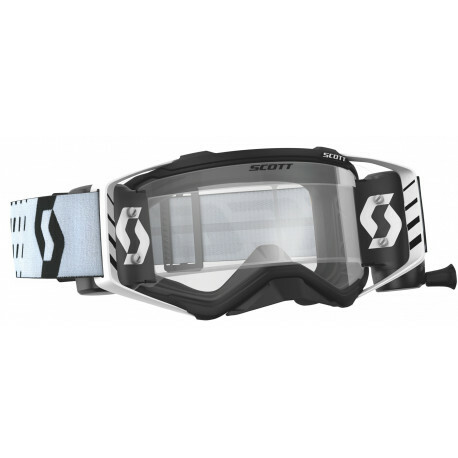 The SCOTT Prospect WFS possesses the same great features than the Prospect goggle. It is equipped with a WFS roll-off system for a large field of vision even in the muddiest conditions. The canisters can be clipped directly on the WORKS pins of the lens which makes their installation much easier and less time consuming. It takes almost no effort as there are no tools required. It also makes the switch from roll-off to tear-off simple and fast. 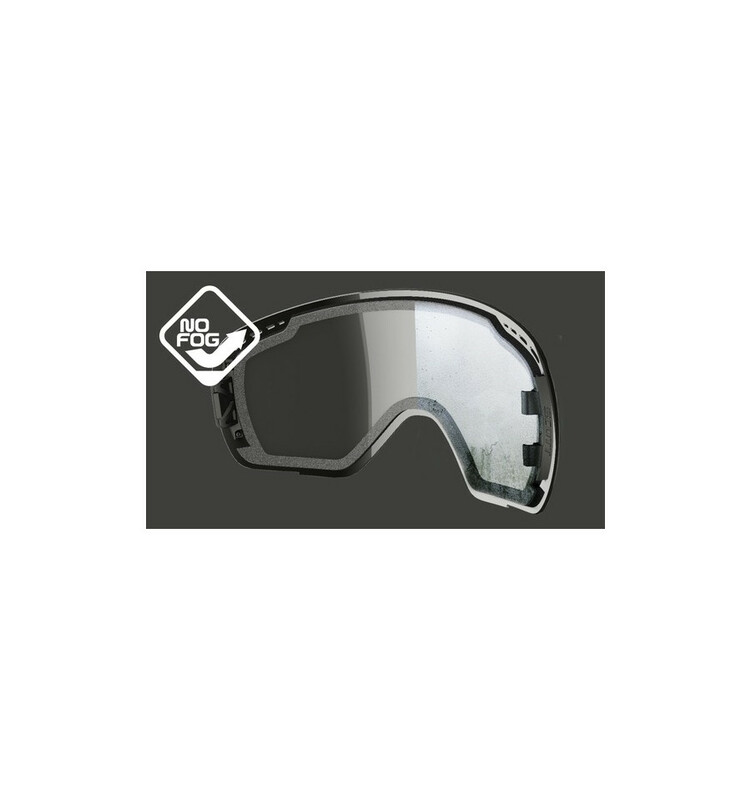 The improved, transparent anti-stick grid offers a better field of vision, an easier installation in the canisters, a better sliding on the lens and a better sealing with the lens at the top. 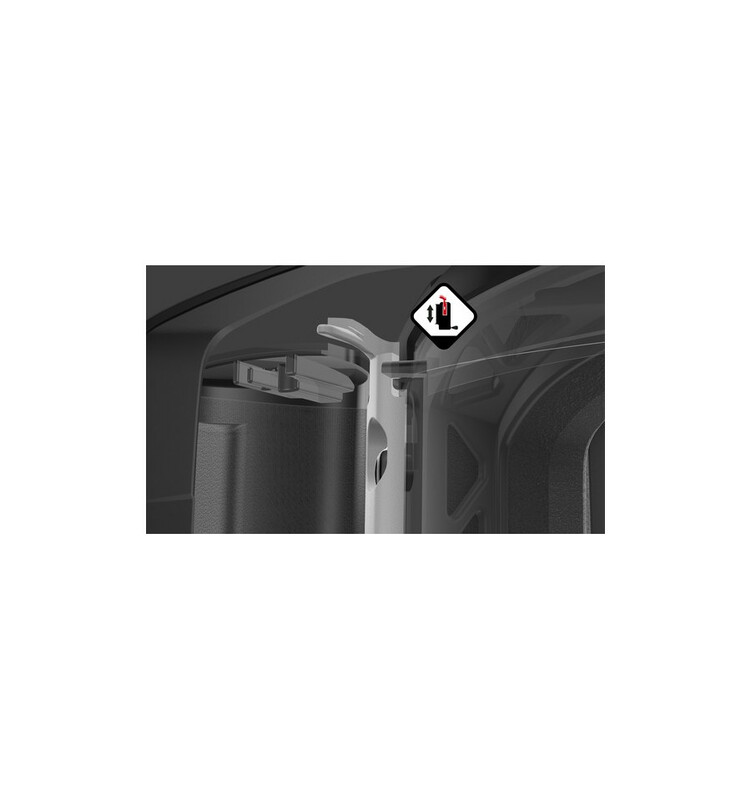 The lens lock system by SCOTT has been designed to guarantee the safest lens retention on the market. 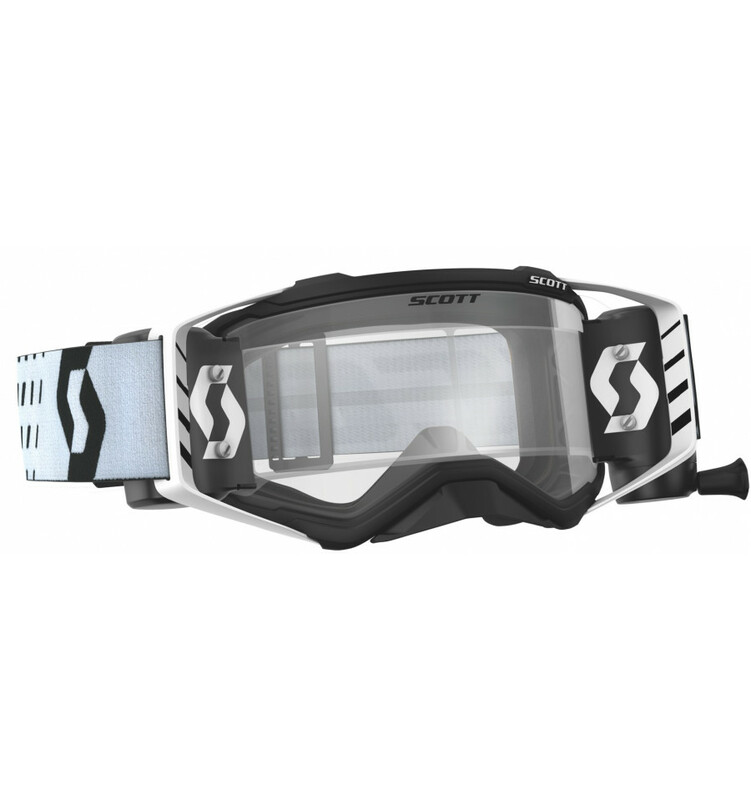 To avoid the lens coming out, SCOTT has designed this innovative lens lock system which features 4 locking pins that go through the lens instead of grabbing it from the top. 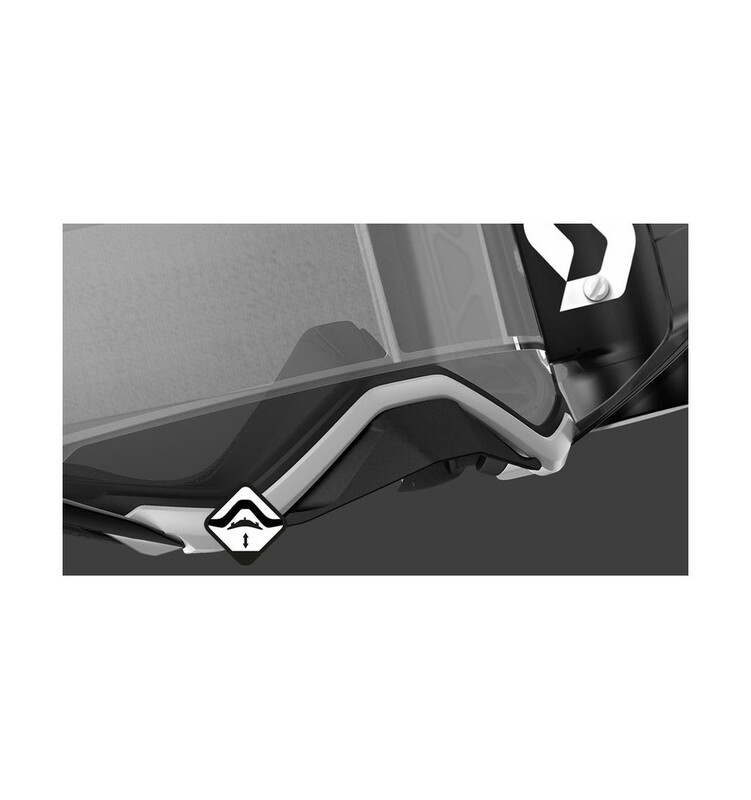 The Prospect has two pivoting outriggers that adapt to any helmet shape and size. The Prospect nose guard can be easily removed and re-assembled. Three pins guarantee the nose guard attachment to the frame. By designing the canisters behind the outriggers, they are positioned on the very edge of the lens, achieving maximum peripheral vision. With the strap wrapping around the canisters, the rope becomes easier to locate as you simply have to slide your hand along the strap until you find it. No need for tools, no need to waste time; simply click the canisters onto the WORKS pins and ride. The red lever makes sure the canister is safely attached to the pins. 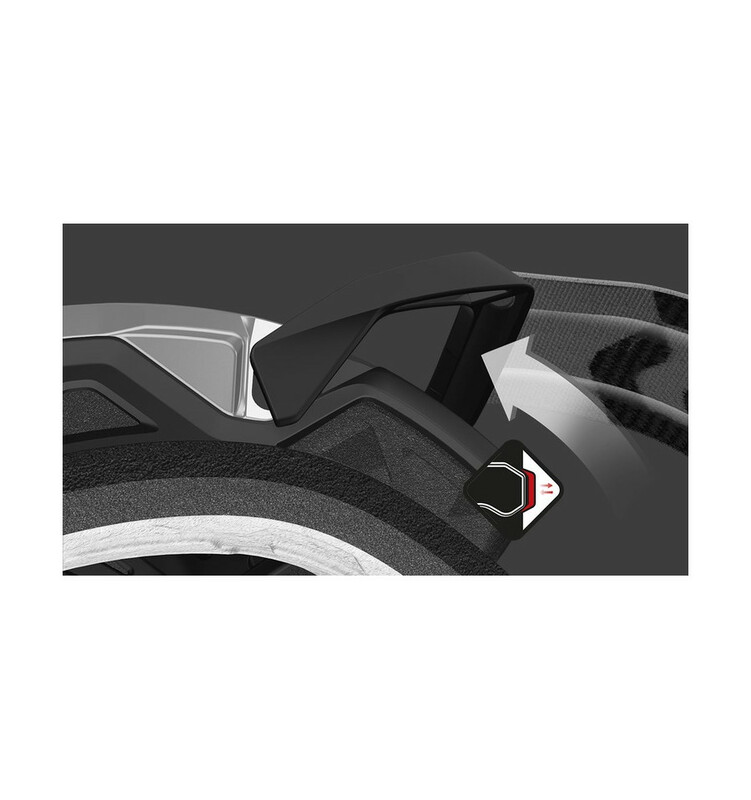 This system is the ultimate in WORKS technology: switching from roll offs to tear offs has never been this easy. One lens does it all! 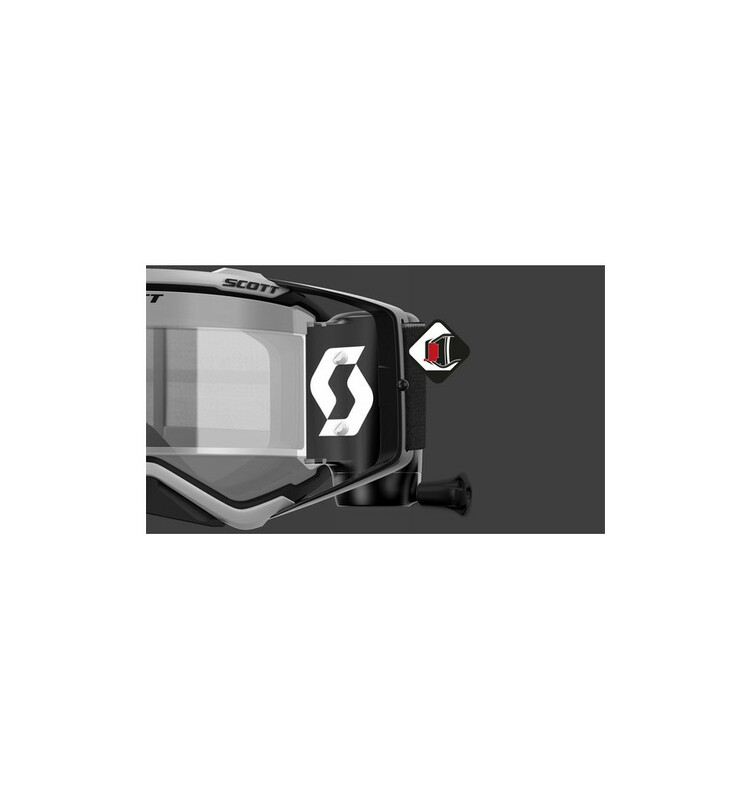 TruView lenses pass SCOTT’s strict testing procedures delivering high quality, performance lenses. Different to traditional SCOTT MX lenses, this lens comes with 4 works pins instead of 2. The 4 pins provide more stability for the tear offs. 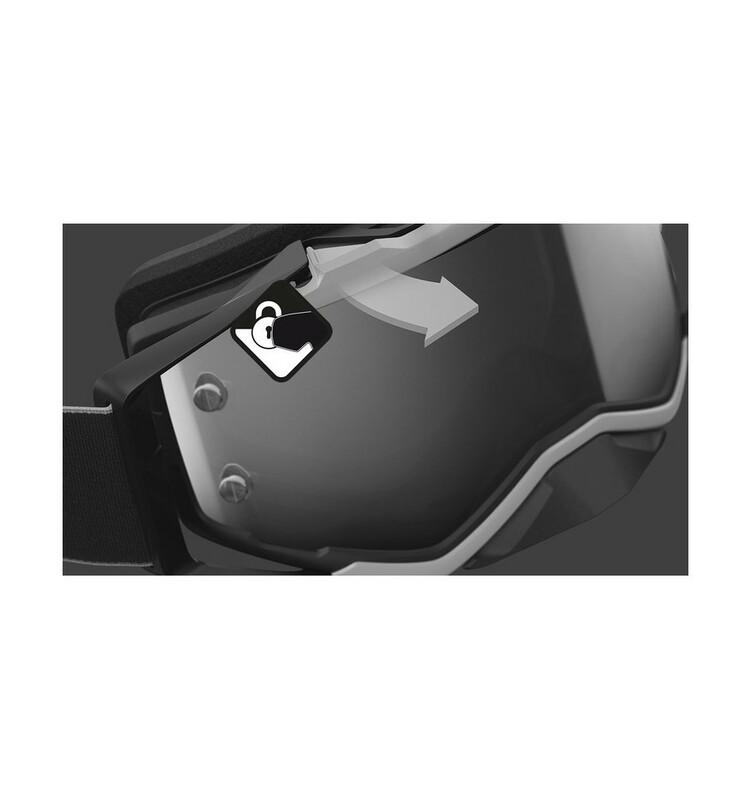 With this system the tear offs will always remain tight to the lens and provide the rider a better vision.